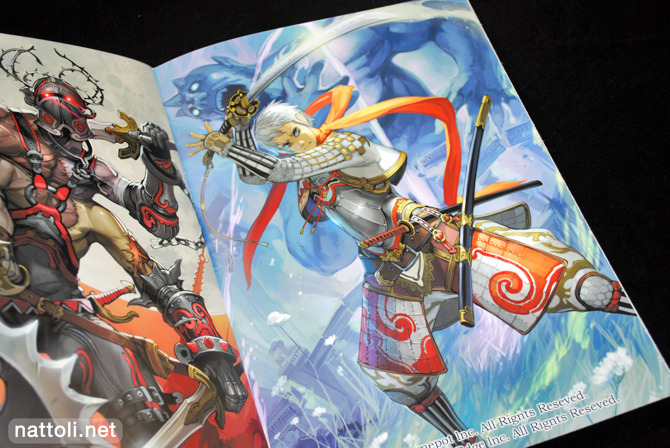 Even though much of the content is from game card illustrations, the format is still A4-sized for the benefit of the larger illustrations at the front of the book. 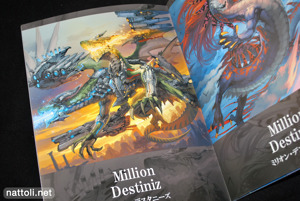 T.com Toshiaki Takayama Illustration File Vol. 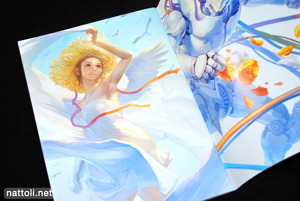 01 is 40-pages and printed on thick card stock paper. 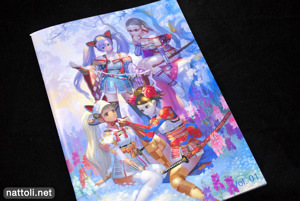 The other illustration I'd seen beforehand was this lovely take on the girls from Muramasa: The Demon Blade. 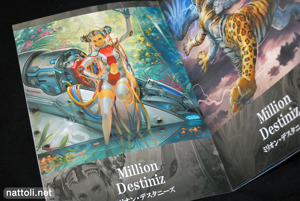 Sometimes, previews really aren't even remotely indicative of what's inside the actual book -_-; Takayama Toshiaki is an excellent artist, I just wish there was more Hatsune Miku and Momohime type illustrations than TCGs. 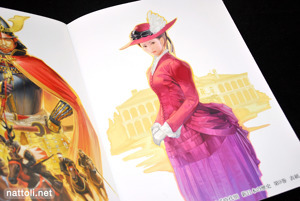 As with anything, it's all down to your personal tastes, but T.com Toshiaki Takayama Illustration File Vol. 01 isn't one I would recommend. 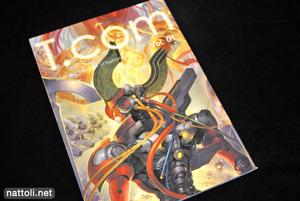 I've acquired T.com vol. 3 . I can help if you ask me to.